Recipe: 2 onion chopped,2 potatoes peeled and roughly chopped, 1 leek, 1 courgette, chopped rosemary, sweat together for 10 minutes, I then added our homemade vegetable stock but shop bought will do or chicken stock, once vegetables were cooked through I took it off the heat and added in loads of wild garlic, parsley and spinach. Season to taste and add a little lemon zest. You can already tell this wedding dress is a special one! 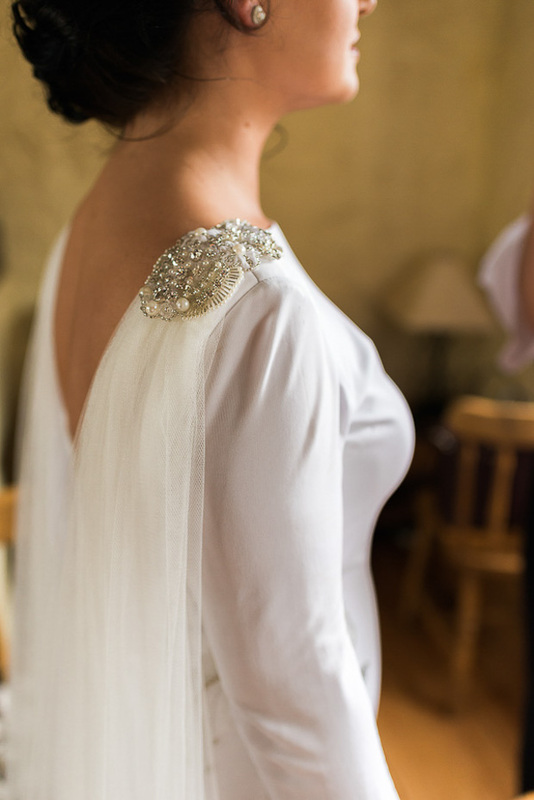 Siobháin says Debbie at Gibson Bespoke went above and beyond in creating exactly what she wanted, “Following a bereavement in her family the week of my wedding, I assumed that I would be without and had looked to borrow a veil, but Debbie went out of her way to complete and it arrived two days before the wedding. I can’t say enough about Debbie and the piece was beautiful.” It really does give the gown a feel of drama and glamour. 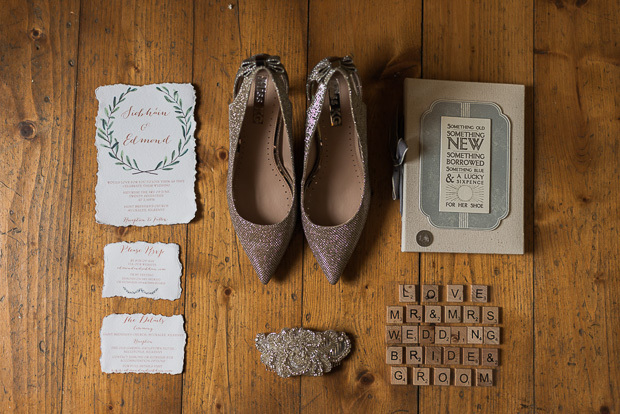 Bright pink shoes add the perfect pop of colour to the bridesmaids' white ensembles. 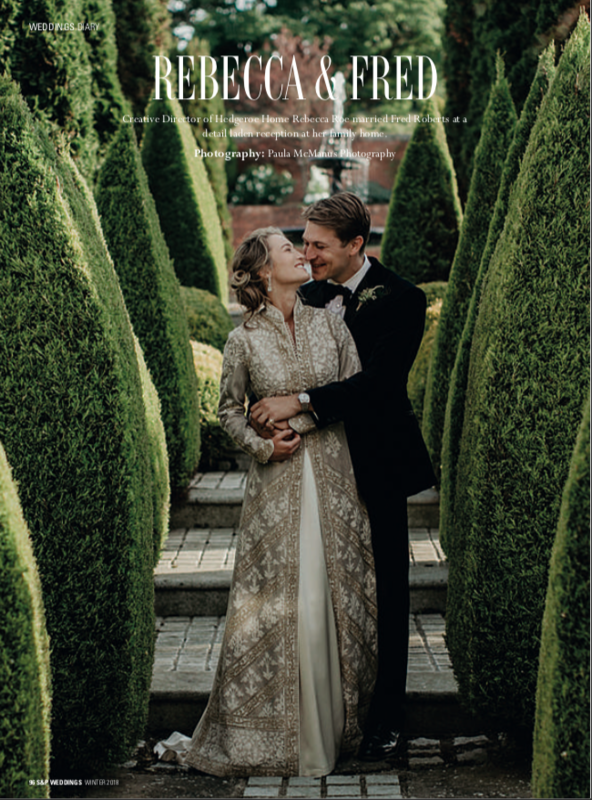 And I can see why Siobháin and Ed chose to get married here - just look at that fairytale cottage! The bouquets were filled with lush foliage of varying shades and shapes which made them simple, but interesting. 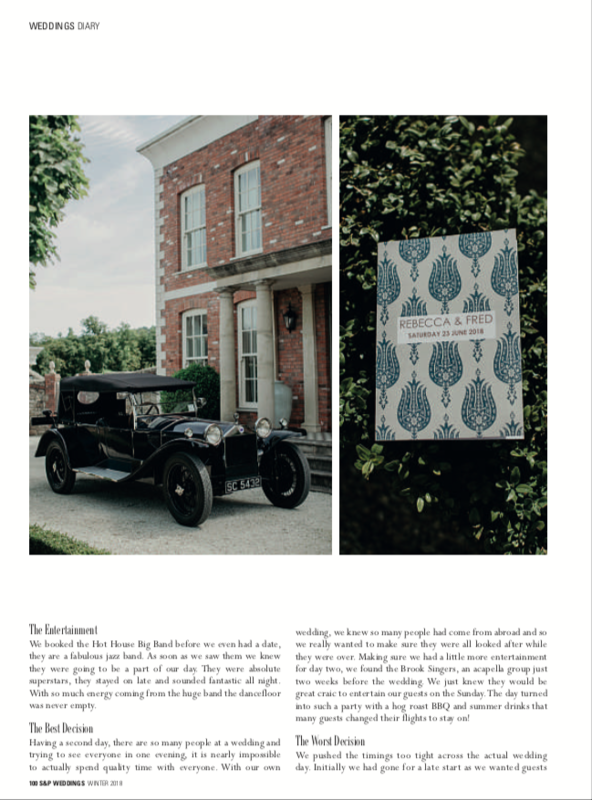 The wedding stationery was a foxy (sorry, I had to!) nod to the countryside surroundings. 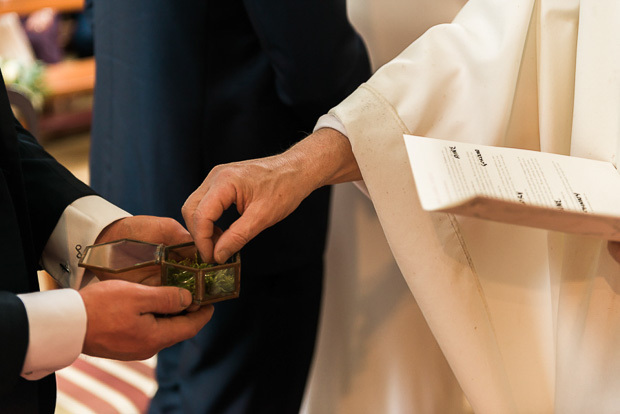 By forgoing a designated wedding venue, you're taking on a lot of work to ensure your location is suitable for guests. 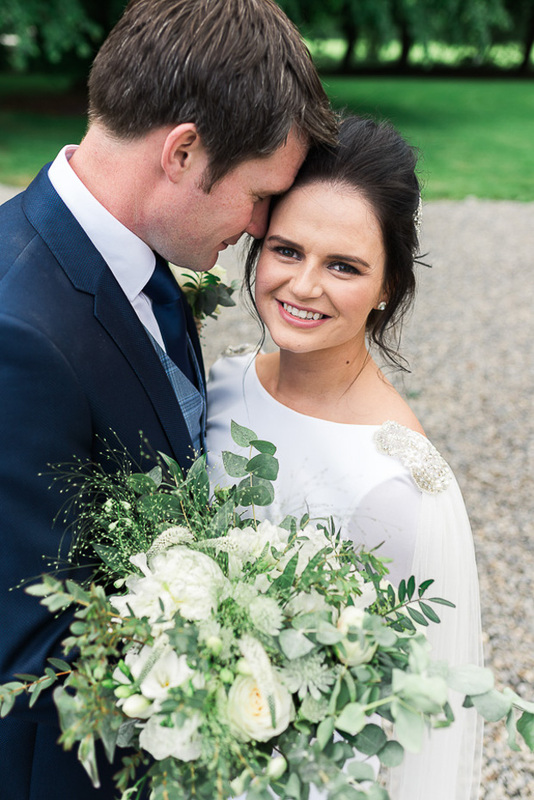 Siobháin and Ed's farm wedding is a testament to how it's all worth it though! 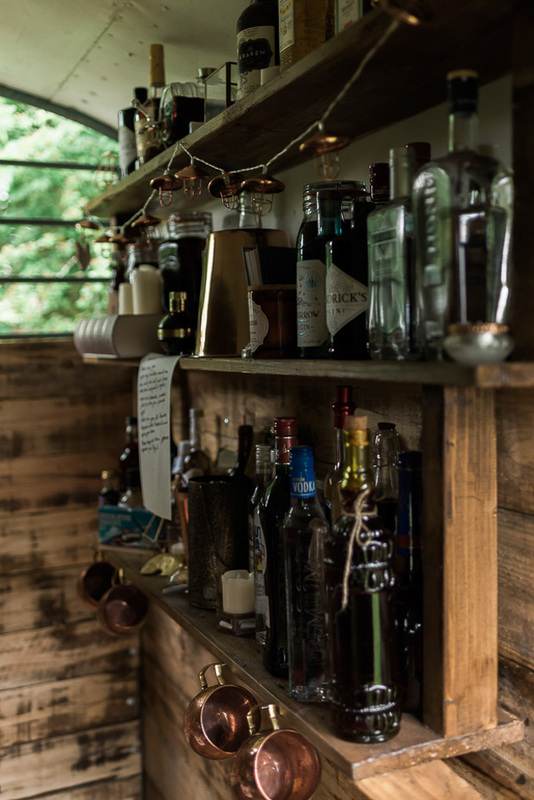 Siobháin’s experience in event planning allowed her to transform a simple country farmyard into a luxe wedding venue with cool cocktails, beautifully presented food and some good tunes. Siobháin said she'd highly recommend having some second day festivities, “Day Two is a great way to catch up with everyone properly. Maid of honour, Danielle, and I did the catering and then enjoyed a really lovely evening. The rain was back at this stage so the last few standing ended up stranded in the tent until the storm passed after 3am - not necessarily a hardship with the bar at hand!” Now that sounds like fun! 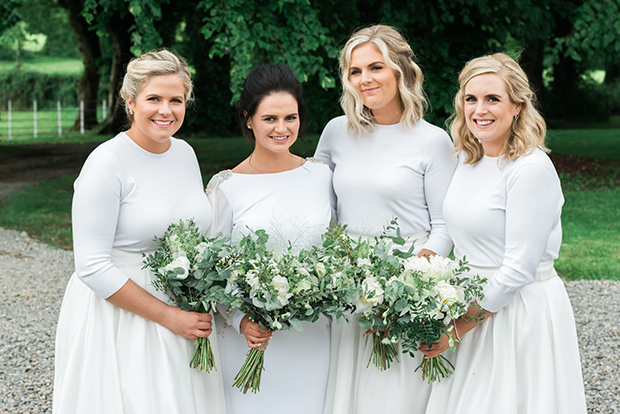 Siobháin says her and Ed's friends and family were a great help in the lead up to the wedding, "Our sis-in-law Tina drove the length and breadth of Ireland to track down a couple hundred metres of grey material after we had furniture delivery issues. My other sister-in-law Helen was like my personal Pinterest board. 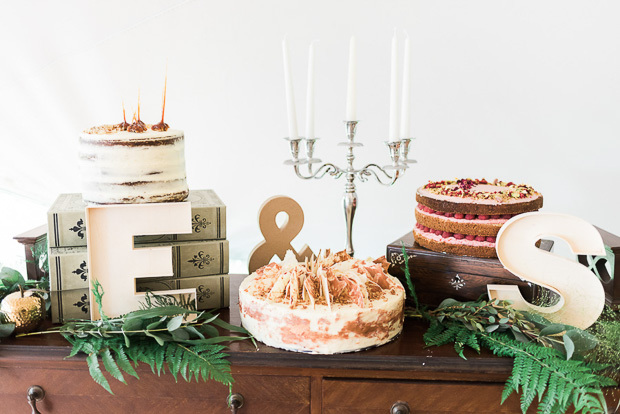 Ed’s uncle Paddy literally worked for three days solid kitting out our electrical needs, our sister-in-law Danielle made the most amazing cakes based on our favourite flavours (including raspberry and pistachio- yum!)”. 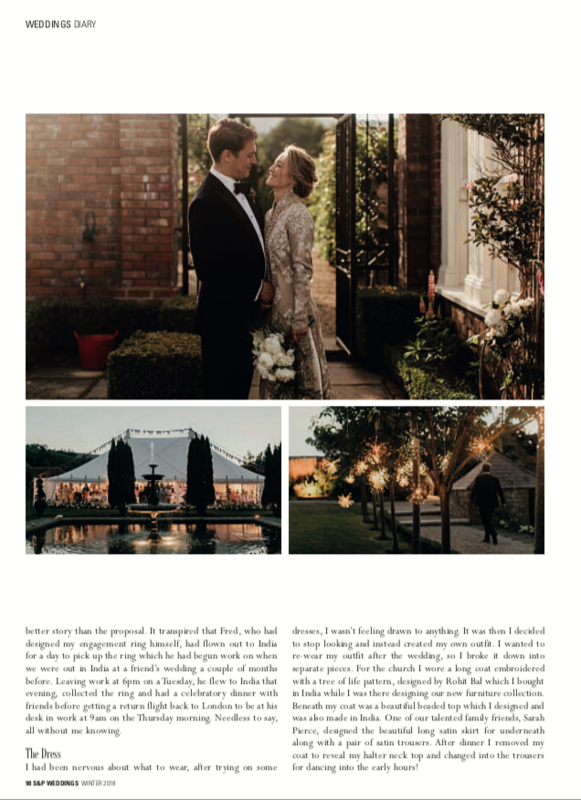 The couple adorned their day with as many personal touches from the farm as possible, “We made seating out of tree trunks, converted a horsebox into a bar, planted a herb garden, infused our own gins with fruits from the farm and even made flavoured butters and chutney for the meal.” I just love all the thought and work that went into this wedding - and doesn't the Maverick Marquees tent look incredible! I don't know about you, but this bohemian tipi has just been added to the list of DIYs I'm insisting on for my future wedding (and possibly house... You know, just for everyday lounging..?). Why have one cake when you can have three?! 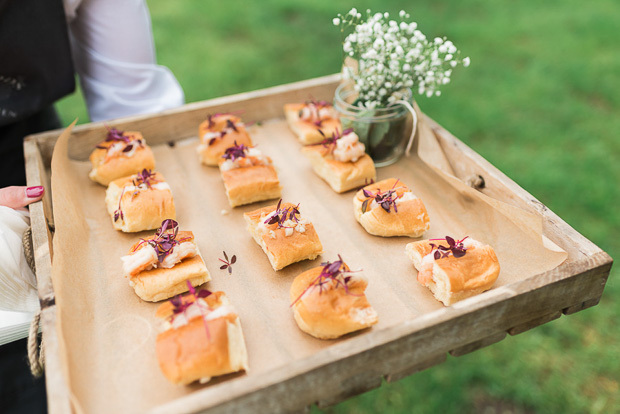 Blacksheep Foods did the most amazing job at creating rustic platters for guests to dig into and pass around between them- helping conversation flow. We were delighted to be chosen by Irish Country Magazine amongst such talent to be included in their top 10 inspiring Irish Instagram accounts to follow! Click the link below to see who else was featured.